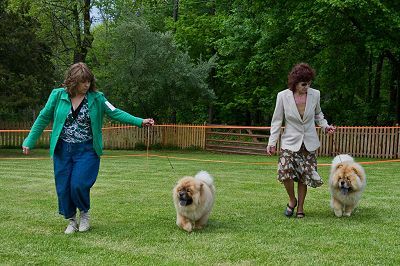 The Chow Chow Club of Greater New York ( CCCGNY ) is a regional breed club for the Chow Chow breed, formed in the late 70's. At one point, the club had as many as 40 members in the 1980's though 90's. By 2010, the club had dwindled down to 12 or less members. ( Image of our original 1982 logo on right ). The Club is a "not for profit" organization. Members support club functions through their dues and donations. Our "Chow Day" is typically held in the spring on a farm in New Jersey. 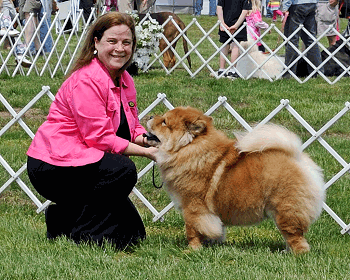 At Chow Day, we hold a match show for those who need to train their young Chows for the show ring and also "fun" classes for any Chow owner to participate in. The club operated smoothly for many years, Officers and directors change, and sometimes, decisions are made which have negative outcomes. The club had little or no money in the treasury a few years ago, and ongoing expenses, such as insurance and operating expenses could not be met. So in 2016, the CCCGNY was put "on hold"
In 2018, it was decided to try to "jumpstart" the club again so we can again hold our events. Please consider making a donation to our club to help us continue. Our club is bound by the rules set forth in our Constitution and By-laws which are filed with and approved by The American Kennel Club. ©2019 CCCGNY, All Rights Reserved.